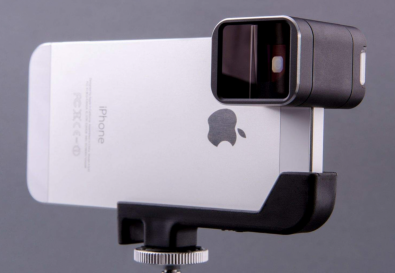 Can Your iPhone Replace a $20,000 Camcorder? In recent years, the iPhone has been increasingly used to shoot feature films like Steven Soderbergh’s UNSANE (2018). With the introduction of Apple’s iPhone XR and XS models, the mobile do-everything wünderdevice is again drawing attention as a viable alternative, in some applications, to a traditional broadcast camera. In feature films, iPhone aficionados can already look to Steven Soderbergh 2018’s UNSANE, starring Claire Foy, for confirmation, which was shot entirely with an iPhone 7 Plus. Soderbergh is quoted as saying of the experience: “I’ve seen [my movie] on a 40-foot tall screen and it looks like velvet. This is a gamechanger to me.” he told Indiewire, an online movie site. “I look at the iPhone [and its video capabilities] as potentially one of the most liberating experiences I’ve ever had as a filmmaker.” Those are big words. The iPhone was also used on Sean Baker’s TANGERINE (2015). There are other examples on the cinema side as well, like 2015’s TANGERINE, shot on an iPhone 5S with a supplemental anamorphic slip-on lens. In the more conservative broadcast arena, however, the iPhone is only beginning to make its mark, as producers slowly come to recognize the iPhone’s power, convenience, and sheer economy. The 2017 BBC seriesSecrets of the Super Elementswith Mark Miodownik,for example,was said to have been shot entirely with mobile phones. No one is saying of course the use of an iPhone or any brand or type of camera will assure success on any given project. After all, our audiences, whether in TV or the cinema, couldn’t care less if you shot your latest chef d’oeuvre with a Sony Venice, your mobile phone, or a pinhole camera. It is the premise, characters, and the memorable set pieces, in your story that will ultimately capture the attention and captivate audiences; the iPhone or any camera, to paraphrase the late great American director, Sidney Lumet, is merely, the conduit through which our creative visual decisions flow. Broadcasters’ use of the iPhone for non-ENG applications has been notably more modest. 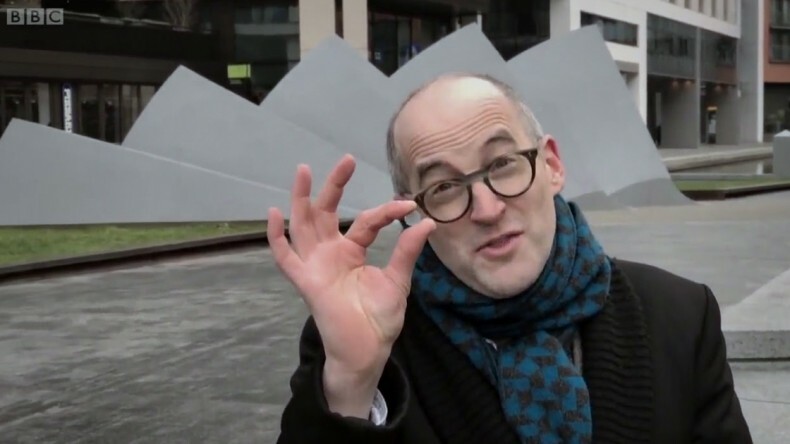 The BBC series Secrets of the Super Elements with Mark Miodownik in 2017 was said to have been shot entirely with mobile phones. Nevertheless, one does have to wonder what role, if any, the mobile phone will play in the future of broadcast television. Do the ever-growing capabilities of the latest iPhones portend the end of the dedicated broadcast camera as we know it? The iPhone’s tiny 3mm sensor is primarily responsible for the device’s poor dynamic range. When it comes to performance, this is the crux of the matter. The iPhone’s simple lens may be crude and imprecise but it is capable nonetheless of producing startlingly sharp high-resolution images owing to a slew of corrective algorithms applied behind the scenes in the iPhone’s software. The efficiency of this correction is remarkable for its ability to correct egregious lens defects, like barrel distortion and chromatic aberrations, the latter defects being, critically speaking, the main reason that cheap lenses look cheap. Glasgow coffee shop. Another limitation of the iPhone’s diminutive sensor is the relative inability to detect a subject’s intended point of interest in high-contrast scenes with very bright highlights. Still, the laws of physics can’t be denied, and indeed there are many limitations inherent to utilizing the iPhone for advanced image capture. 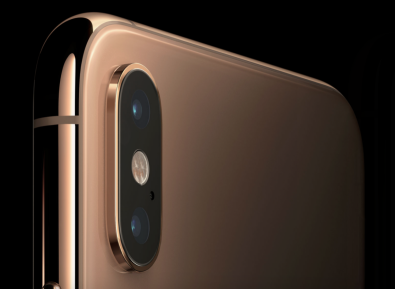 For one thing, its tiny 3mm sensor, with pixels of only a few microns in diameter, are notably unresponsive in low light, which means iPhones invariably exhibit poor dynamic range. In the wake of iOS 12 and Apple’s new XS and XS Max models, however, serious iPhone shooters are seeing significantly improved log and flat gamma responses, as much as 2.5 stops of additional dynamic range when utilizing FiLMiC Pro Log v2 software. The latest version of FiLMiC Pro with Log v2 includes major tweaks to the log and flat gamma curves, resulting in a 2.5 stop improvement in dynamic range, with reduced noise in the iPhone Xs. FiLMiC Pro for mobile shooters is available for iOS and Android. FiLMiC Pro for iOS and Android has become, indisputably, a primary tool in the mobile DOPs toolkit. For all its advanced features, the app still has to work within the iPhone’s inherent limitations, but the tool’s high degree of customization allows it to maximize the creative control enabled by Apple’s AV Foundation core. The iPhone’s camera, for example, depending on the model, is capable of capturing scenes from 1-240 FPS. The application offers greater versatility, allowing the DOP to dial in a precise frame rate, say, 174 fps for playback over the 25 FPS television standard. It also enables fixed frame rates, including 25 and 50 FPS for European broadcast applications, and 30 and 60 FPS for U.S. broadcasts. As of this writing, with the latest update (v6.8.1), FiLMiC Pro supports high-bit rate output files up to 150Mbps for editing inside LumaFusion— the most capable, and certainly the most professional, of currently available mobile editors. FiLMiC’s new Log v2 feature (available in the optional DoP kit) expands the dynamic range of the latest iPhone models, yielding an impressive 12 stops total of dynamic range, while also giving filmmakers the required latitude of a 10-bit file for effective color grading. Note that Log v2 works on all iOS devices, and most Android camera 2 API-capable devices. Sadly, for many of us, the iPhone captures video at only 8-bits – a critical shortcoming often cited by higher-end DoPs and engineers. The Log v2software utilizes a proprietary computational-imaging environment that allows processing the luma and chroma components of the iPhone video with 64-bit precision. The result is an enhanced dynamic range with a smooth tonal quality that bypasses, to some degree, the constraints of the iPhone’s original 8-bit video. Given the expanded gamma profile, Log v2 appears to be most effective and noticeable in the mid-tones, with significantly reduced impact in the luminance areas at or near the black or white points. Given the iPhone’s constrained dynamic range and proclivity for noise, FiLMiC Pro can help ameliorate many of the iPhone’s most egregious shortcomings. For one thing, the phone’s sensor and iOS are limited to a paltry 8-bits, which can limit, needless to say, the device’s applicability in professional broadcast. The foibles of 8-bit video are well recognized: the inevitable artifacts, contours and ridges; and a constrained post-production workflow. Processing the original video with 64-bit precision, however, and outputting a 10-bit stream at up to 4K 150Mbps, FiLMiC Pro enables DOPs to derive maximum image quality, with ample color-grading potential, from the modest 8-bit mobile environment. The enhanced functionality enabled by FiLMic Pro is especially apparent in the Android version. Needless to say, for professional applications, there are many other limitations inherent to the use of the iPhone. Aside from the ergonomic challenges of handling and supporting the diminutive device, there is also the lack of professional inputs and connectivity options. The Western Digital My Passport Wireless Pro, with up to 4GB capacity, offers a Bluetooth connection with ample remote storage for large files; the wireless function enabling easy offloading from the iPhone and integration into a professional editing platform like LumaFusion. 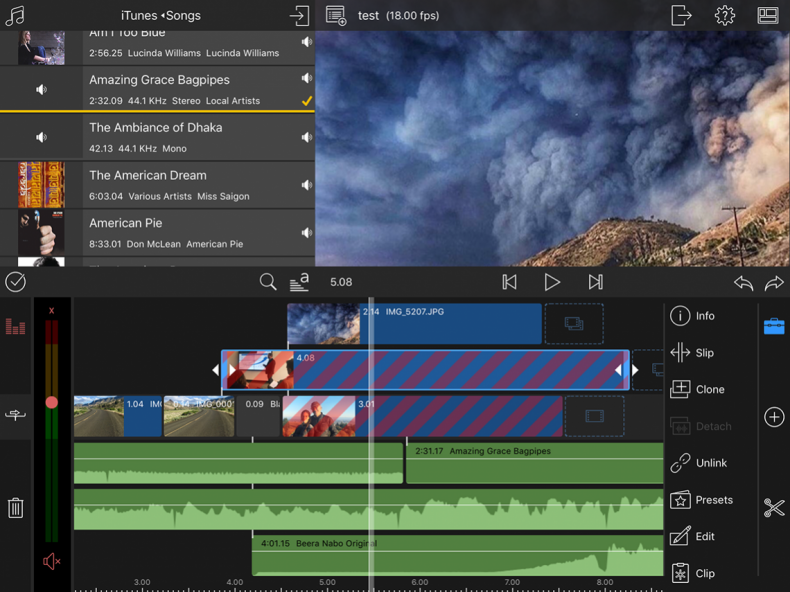 LumaFusion multi-track video editor is used by mobile journalists and filmmakers. The iPhone’s lack of a comprehensive metadata support system may also pose an obstacle to some shooters. At the moment, only exposure data is recorded in the iPhone video. Shooting telephoto, in selfie mode, or need to record white balance details for a possible reshoot down the road? You’re out of luck. Some drawbacks are inherent to iOS, like the lack of ProRes support – which can have serious implications for many broadcast productions. It would be nice, indeed, if Apple would include some flavor of ProRes in a future iOS update. One can only hope. Supplemental lens on iPhone, Moondog Labs. With respect to FiLMiC Pro itself, there is at least one shortcoming of note in the current implementation: the audio package seems to have gotten short shrift. Surprisingly, there is no built-in noise reduction capability beyond the rudimentary voice processing EQ filter. The application does support PCM (uncompressed) audio at 44.1 and 48KHz, but curiously not .WAV files. Go figure! The safety limiter inside the iPhone can be disabled, if desired, as can AGC – a most critical capability to filmmakers and DoPs across the board.